Jaipur has always been one of the important spots for both Indian and foreign tourists. Its prosperity is mainly due to its cultural significance and its proximity to Delhi. Over the last few years, Jaipur has moved on from the aspects of cultural and historical significance. Today it is one of the centers of modern technology in India. With the IT wave sweeping the city, the need for appropriate housing and modern commercial spaces has risen significantly. Consequently, real estate in Jaipur has reached astounding heights. Property dealers from across the country are now willing to invest in real estate business in Jaipur. With real estate progressing at a fast pace in the Pink City, a large number of investors are looking for plots for sale in Jaipur. According to the estimates by real estate analysts, property market will experience a significant rise in prices within a short span of time. Commercial projects: Upcoming landmark structures will be re-defining the commercial spaces in Jaipur. One of these is the upcoming World Trade park, which will include retail, trade and business spaces, art gallery and museum, 5-star hotel, trading facilities, auditorium and convention center. Commercial projects also include a center for jewelry purchase, and areas for shopping as well as business. An area of about 2,50,000 sq. ft will be allocated for business center, shopping destination, luxury hotel and entertainment. Residential projects: Both investors and end-users have several favorable options among the current projects being handled by private parties, the rates of these projects being affordable. For all property dealers, Ajmer Road is the prime location. Highly impressed by the success of recently launched residential projects, some people have even started to look for an independent house in Jaipur. The Vatika Group has already made its mark with the Infotech City Jaipur project. This self-contained integrated township, stretching over 800 acres, includes a five star hotel, recreational center, shopping complexes, schools, health clubs and medical facilities. A plan to establish two more hotels on the premises, has been devised. 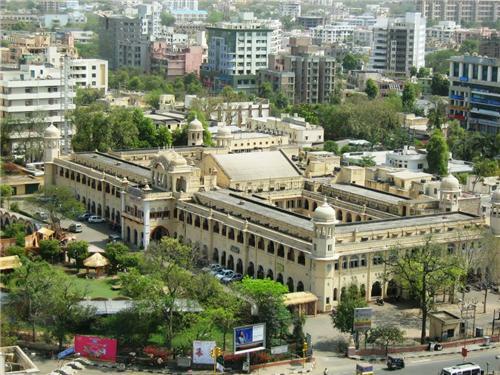 Both these hotels will be accessible from the main Ajmer road. Besides other facilities, a shopping mall is also being planned. This entry was posted in Real Estate Jaipur and tagged independent house in Jaipur, Jaipur project, plots for sale in Jaipur, real estate in Jaipur on March 5, 2015 by Admin.